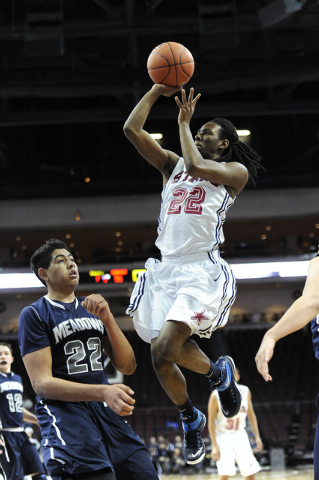 With its seemingly insurmountable lead fading away and its star player having already fouled out of the game Saturday night, Agassi Prep’s boys basketball team needed someone to save its perfect season. Dennis Walker found the starring role to his liking. 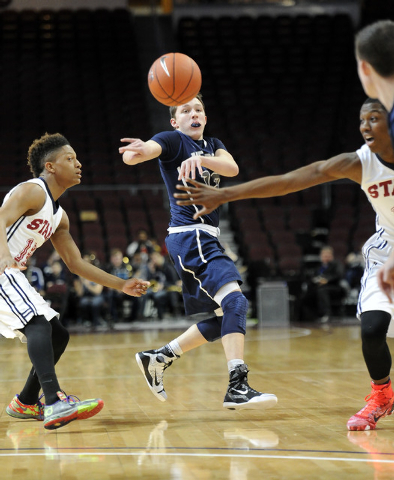 The senior forward went 4-for-4 from the field and grabbed 11 rebounds, including four in the fourth quarter, to lead the Stars to a 57-48 win over The Meadows in the Division III state final at Orleans Arena. 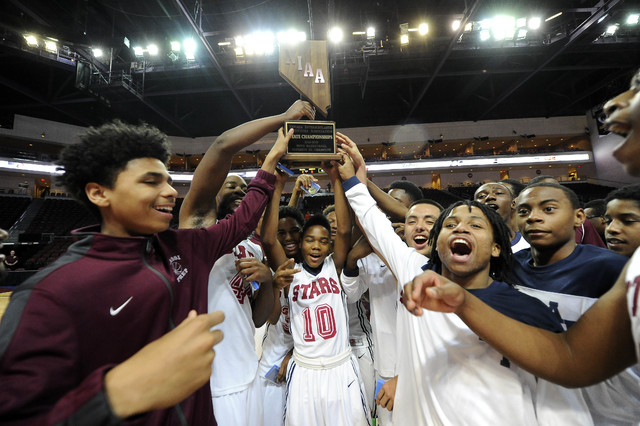 Agassi Prep (26-0) won its 45th straight game and captured its second consecutive state title in the process. 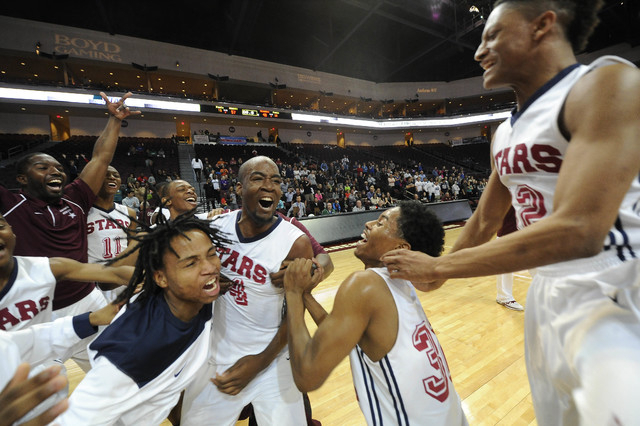 The Stars appeared to be on their way to an easy win, leading 43-23 after Deishuan Booker scored on an inbounds play with five minutes left in the third quarter. But the Mustangs (18-9) responded with a 10-0 run, and Booker, the team’s leading scorer at 27.7 points per game, picked up his fourth foul with 3:06 to go in the quarter. 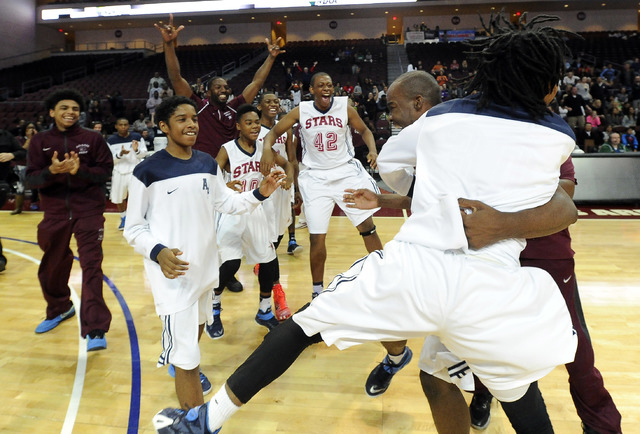 When Booker fouled out with 2:47 left in the game, the Mustangs started a 6-0 run that cut the gap to 54-48 with 35 seconds left. Walker, who finished with nine points, made sure The Meadows got no closer, clogging up the middle and grabbing four rebounds in the final two minutes. 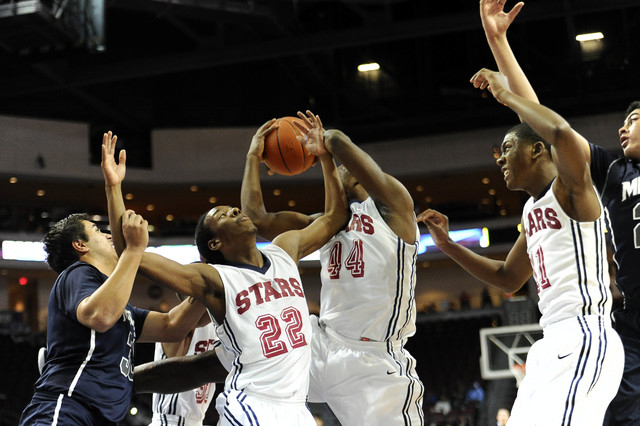 Booker had 13 points for Agassi Prep, but didn’t take a shot in the fourth quarter. 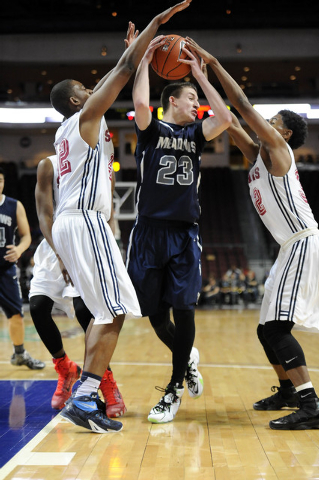 Jordan Smith came off the bench to score 10 points. Kobe Williams and Walker each had nine points. 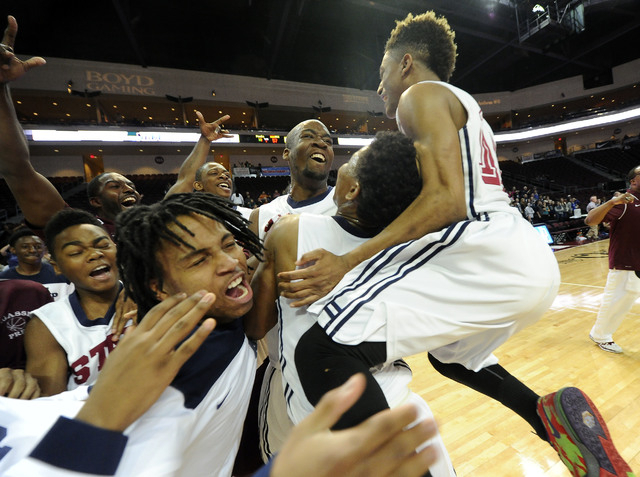 “We had to understand that we could win without Deishuan if we had to,” Walker said. 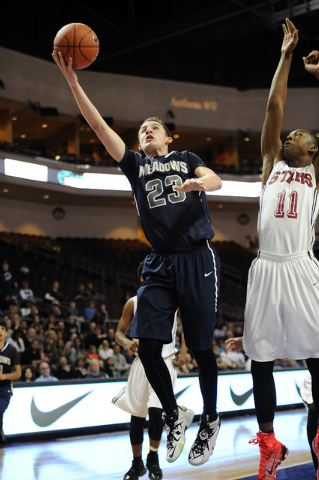 Jake Epstein had 18 points for The Meadows, which had starters Max Hisatake and Ethan Fridman foul out. Asheesh Chopra had 11 points for the Mustangs. 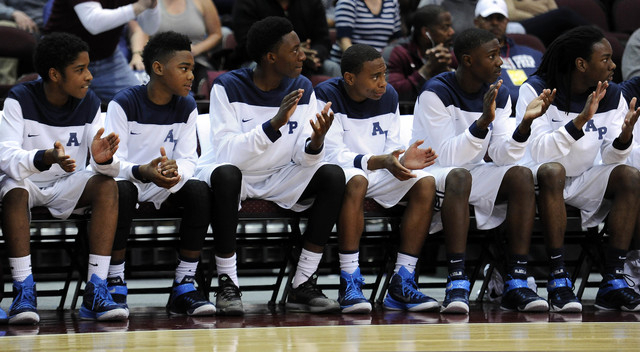 Agassi Prep won its third state title overall and hasn’t lost since Jan. 4, 2014.